When your pooch cannot tell you that he needs to see the doctor, you have to be the one to know when things are going wrong. Being attentive and educated about the health of your pet is just as vital as those visits to the dog park. 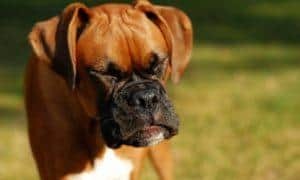 Because a lot of dog owners do not fully understand how seizures affect animals and how to identify them, they often mistakenly diagnose an attack as merely a canine idiosyncrasy such as whining or pacing. 1. Prodome stage. The stage prior to the actual attack. Changes in a dog’s mood can be observed such as display of neediness, excessive panting, pacing, and whining. 2. Ictal stage. The actual seizure itself. Some symptoms include temporary paralysis, loss of consciousness, air-pawing, teeth-chomping, bowel movements, and uncontrollable urination. 3. Post-ictal stage. The moment the dog’s attack is over, he will quickly snap back into consciousness. While the signs in ictal stage only last a few seconds or minutes, here, the symptoms may last for a couple of hours. Behavioral signs may include excessive consumption of food and water, temporary blindness, confusion, drooling, and walking into the wall or objects. If your dog seems to have suffered from a seizure, seek medical treatment immediately as these can result to permanent damage to his brain. Your vet will be able to diagnose the cause and work with you to determine the best course of treatment. If you believe your dog is having an attack, try to remain calm and keep him out of danger. Start moving any object that may get in the way or may fall on your dog, should he bump into it. Try blocking off stairways and any area that may present safety threats. Never place your hand or anything in or near your pooch’s mouth as you may get seriously injured. Yes, he may bite his tongue, but he surely will never swallow it. In other words, simply try to steer clear of your pet until the attack is over. In cases where brain abnormalities are identified, treatment options will vary according to the specific diagnosis as well as severity of the disorder. Luckily, attacks in epileptic dogs can be regulated with dietary changes and/or medications. There are numerous anti-convulsive drugs that your veterinarian may use to prevent seizures. Most vets, however, would not recommend medication if the attacks are mild or if it takes place less than once a month. Like any other drug, these pharmaceutical treatments have side effects. 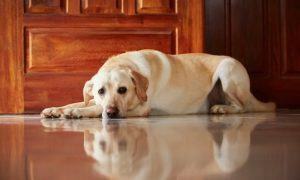 Nevertheless, if they help in controlling your pooch’s seizures, you may find that the benefits overshadow the risks. The following video shows Tanner, a senior Golden Retriever, going through a fairly severe seizure. It may be difficult for some to watch, but Tanner’s human does a great job of remaining calm and describing what is happening while making sure she is safe in her environment. This dog has had extensive veterinary care, but has suffered with seizures throughout her entire life. My dog, Diamond, is a 15yr old PitBull, who I've had with me sincr she was 7wks old. I think she had 2 seizures last night and 1 today. 🙁 Her's were shorter than Tanner's and a little different, but there were some similarities (kicking of the legs, noise/hard breathing out, and coming to it after a couple mintues). She also urinated a small bit during the moment of tensing up. She is old and hasn't been feeling the best lately. I just wanted to thank you and Tanner for your video and this site. You are helping many people who do not know what to do at times like this. I appreciate all your support, hard work, and unconditional love toward dogs. Thank you so much! **Also, it made me smile at the end of the video to see Tanner's tail wag…it was his way of saying, "Hey! Thanks! I'm back now!" Thank you Sooo much for this. Love and prayers for all epileptic furbabies! My Little Yorkie. tonight was totally stiff on the floor. I picked her up.she was stiff as a rock I held her close to me to calm her down she was breathing heavily… finally came back she never went out. She is okay she was drooling she is fine I’m still havingherclose to me.. Again why does this happen!!?? my dogs are my life! There is no way your vet should have stopped to be with your when euthanized! Did you ask him why? This is so wrong! So very wrong. I just had my 14 year od cross border collie mix put to sleep yesterday and my heart is breaking! I was at the vet with my adult daughter lying beside Tyler and the vet was also sitting next to him touching his brown ears. Two young assistants came in and gently and caring shaved his front leg about 2 inches to inset a small tube ( forgot the word), hugged him and left the room. The Dr. gave him 2 needles to put him to sleep. After a while, 10 mnts, he gave him the barbiturate to end his life. He just looked like he was sleeping. So much caring …the vet had a couple of tears and said it never gets easy and looking at Tyler….he said he was sorry! My poor baby had diabetes, he was also blind, almost deaf, had weak hindlegs….it was time. I am so very sorry you didn’t have the same experience. Take care. Thanks for sharing. My peke suffers from a seizure every couple of months, instead of dosing her with drugs that long term could do more harm than good I hold her, say her name in loud calm voice and rub her firmly. She usually comes out of it in 2-5 minutes. I am definitely going to check into white shake dog syndrome, her food and alternative medicine. p.s. I will bet money that is not a child screaming in the background, it is a parrot squawking. As a person who has seizures herself and also has a dog who has seizures, THAT I CHOSE because it brought me closer to her knowing shed be there for me and id be there for her. it is hard to see any animal going through this. so the TV was on and so what? yes she could have shut it off, but she gave us valuable information that i however did need and it has enlightened me and helped me understand more. I thank tanner for her help with showing us this. However i do wish she did not have to go through it and i wish she could get better but she clearly stated in the video that the medicane had no effect anymore. sometimes its best to let it happen and just be there for the animal. I personally wish we could save every animal and human going through this, but it is not painful while you are going through one. It is painful after. WHICH EVEN AFTER THE MEDICANE it would still hurt. if dogs are the same as humans i suppose. i dont know much about dogs, but i am assuming that it is the same value. When i go through mine i do not feel a thing until afterwards, even if i get meds to help me calm down it is still very painful afterwards. so the fact that she took time and watched her precious dog suffer a little bit to help us out and not be so ignorant should be appreciated! Thank you tanner and the wonderful owner for guiding me and showing me more information. OMG! CAN YOU SAY ABUSE!!! I could hardly sit thru that video! I can’t believe YOU ( and ur useless vet) put that poor dog thru that seizure for NOTHING! All you needed to do was rectally administer an amp of Valium! Within 30 secs to 1 minute poor Tanner would have been relaxed and out of pain! You even said your in the medical field… Ya NOT! If u were in the field u would be able to recognize her stages.. Which u clearly don’t! And you also would have a good idea that Valium would have helped! You even put her thru the child screeching in the back ground, tv on … Which is extremely bad because of the flickering and flashing of lights… After u said keep everything calm! The pain u put her thru!!! So u can make this f’n video! I get u thought it would help first time ” parents” to see what a seizure looks like…BUT, it would only terrify them needlessly! PLEASE either get a better vet or enlighten them , all u need is A VIAL OF VALIUM ! Sorry but it just sickened me to watch you put her thru all this pain and suffering for NOTHING!!! Get a decent vet! I would also like to add , my fur baby passed from old age.. Not from a 15 minute seizure which kills brain cells every time they seizure and especially the length of it! change or the probability of losing video quality when recording over previous footage. They will also be quite adept in CCTV installation and controlling electronic access system. Dictaphone or DVR from audio to text by listening and typing a variety of seconds at a time. benefit from the increased video quality. thing to be aware of. I say to you, I certainly get irked while other people consider worries that they plainly do not realize about. This publish actually made my day. You can not imagine simply how a lot time I had spent for this info! My Dog started having seizures at age 14. The Vet though she may have a tumor. They were going to put her on some meds although before they did I asked them If I could try something on my own. They said yes of course. I then took her off her flea medicine which was Comfortis and I also took her off her heart worm pills, I then took her off BB dog food and put her on Natural balance LID. Within 1 month her seizures stopped. The Vet could not believe it esp. since my dog had been taking the flea meds and dog food for a couple of years. She is not 16 years old and still no seizures. Thanks GOD. this is so difficult to watch 🙁 i could not even imagine having to watch my baby go through this… 20 minutes of seizing… i could not even imagine :((( she is lucky to have such great owners who love her so much that they are willing to do everything possible for her! Our dog Abner began to have seizures a year before his death. He had one a month for six months and then they stopped for the next five to six months. They generally took place in the morning while he was still in his dog bed. Twice they happened before a walk when he was waiting expectantly for the door to be opened. He would freeze in place, his eyes open but clearly not focusing, and his four legs would slowly slide out from under him in four directions like a dog in a cartoon, and he would simultaneously urinate. When it happened in his bed, we could only tell afterward because his bed would be wet. The seizures lasted 10 – 20 seconds. When he came out of it, he would be a little spooked, as if he realized something happened, but he was behave more or less normally. After his first nap following a seizure, he was completely normal. As he was adopted as an older dog, it was suggested we not get an expensive MRI to try and determine the cause. 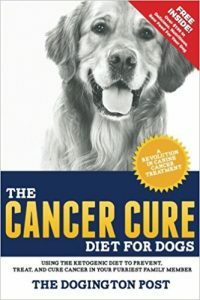 We did know that a few years before he had undiagnosed Lyme disease for some weeks or months before he was admitted to a veterinary hospital and started with anti-biotics for a full two weeks. After his last seizure he was normal, though we could tell by his behavior that his back was hurting him, either from encroaching arthritis or from neurological damage from the Lyme disease. In October, he went off his food and seemed ill. He was admitted to our Vet’s where they gave him intravenous fluids and some steroids and appetite enhancers, which helped him rally, though we were told that it seemed old age had caught up with him at last. We had a glorious final month with him where we hugged, kissed and spoiled him the whole time. He was getting intravenous fluids every few days from the Vet, and he was close to normal afterward. Finally on the Sunday a month to the day that he had been admitted to the Vet, he seemed weak and sick. We resolved to end his misery the next day, but later that Sunday he had another seizure, his last. He made a odd sound, and it happened in the middle of a dry bowel movement (something he would NEVER have done in the house). We rushed him to the Vet, and he was put to sleep in our arms. His eyes had been open, and he’d blinked occasionally, but as with his other seizures, he didn’t seem to hear or see us. It seemed he had a final stroke, just as an elderly human might have. We have an adorable 14 yr old Shitzu Malt x and of late she has been wanting to go to the garden every 5 minutes or so and keeps this up for an hour or more so I’m wondering whether it could be diabetes and should I take a test strip of her urine? She is on special dietary food which consists of tinned food and pellets which are very expensive but she sometimes regurgitates the dry food or totally rejects it? She is quite blind and becoming deaf, but has not experienced a seizure to our knowledge. Can anyone suggest what could be causing this behaviour? We have a teacup Chihuahua and she is 8 years old. Began having seizures in 2009 and ended up having her put on phenobarbital around end of 2012, after having several seizures in less than 24 hours. After putting her on 1/2 CC twice a day, no seizures for 14 mos. Then Vet did Blood Panel and said she needed more so up to .07 twice a day. Now seizures again maybe several in one month, none in next month, one in next month and now in May she has already had 4. All short, but nonetheless she is having them. She eats precise dog food and her weight is down from 4.9 to 4 lbs even. I am not really good at the intervals of 12 hrs between and do my best to give her a dose in the AM and PM. Wonder if the doses not being done like at 9AM and 9PM exact could be causing the problems. Does she need something in addition to the phenol liquid or what. I would appreciate any comments. Judith, My dog started having seizures at a late age. The Vet thought it may be a brain tumor. They just came out of the blue and they were getting worse. My dog is seizure free for years and they stopped after 1 month. Here are the changes I made. I took her off her flee medicine which as comfortis and put her on a topical flee med. I took her off her heart worm pill and switch her dog food from BB dog food to Natural Balance dog food LID. My Vet could not believe it. When I put her on the LID natural balance dog food the lady who owns the shop said she had another lady who’s dog did the same thing and she put her on LID Natural balance canned food and her seizures stopped as well. I did the dry version. I hope this helps. Its worth a try, I noticed a difference in 1 month. I don’t know if what my dog has experienced over the years are considered seizures I took him to the vet and the vet was unable to diagnose it. So I turned to the internet and found “white shaker dog syndrome” happens primarily in white dogs but can happen in any breed(mine is Maltese). Symptoms are fine tremors dog gets nervous,some dogs go into seizure like convulsions, the dog may hide, pant, look scared. Luckily, My baby’s symptoms have always been mild. I am a medical professional so I titrated Valium to his weight using a drug guide book. When he has an episode lasting more than 5 minutes I give him a small dose and it stops. Luckily it hasn’t happened very often over the years. His son has the same thing. As mentioned in the article, treating with anticonvulsants or other human meds may do more harm than good some meds are hard on the kidneys. So I only medicate as needed. Heart disease is another common reason for seizures, especially in giant breed dogs. I learned this the hard way with my Neapolitan Mastiff, Valentino, who has dilated cardiomyathopy. His seizures are known as syncopathic episodes. If you have a giant breed dog, make sure your vet checks his heart and does the appropriate tests associated with such. Not all vets are trained for this! Unfortunately, there is no cure, only maintenance. Get a Second Opinion! A few years back my son’s dog Koda started having seizures. His vet was unable to determine the cause. He was prescribed habituates to control them. As a result he became a stumbling shadow of his former self. A couple of summers ago we watched him while they went on vacation. We medicated him as directed and had another seizure. We took him to our vet. Our vet discovered his blood sugar was low and may have been the cause of his seizures. We adjusted his diet to normalize his blood sugar and his dosage of meds was able to be lowered. He became more of his old self. But the previous seizures had permanently damaged his nervous system. He had a few more seizures, but less frequently. Still the damage took it’s toll. One morning my granddaughter found he had another seizure during the night and had passed. If your animal should be affected by a seizure disorder and is prescribed large doses of drugs to control them. Ask your vet what he checked. Seizures can have numerous causes. Our first doxie was the runt of the litter and sick with various ailments from birth. She was the only bulimic dog I’ve ever seen. She would eat anything then throw up everywhere. She was three or four years old when she suddenly started having seizures. The vet determined she had something wrong with her liver and that she acted like she had been poisoned. The only thing we could figure was that she had gotten into some weeds that had been sprayed with pesticide. Most doxies love to graze like a cow, so this seemed logical. The poor baby lived a couple more years, but her seizures got progressively worse. We could tell they were taking a toll on her eyesight and even her brain. It broke our hearts to watch her suffer through the seizures. As much as we loved her, we knew she had no quality of life. how many skullcap should I give to my dog per day? My boy Rex has a Grand Mal seizure every 30 days (give or take 3 days). As soon as he goes into it I slide in behind him to hold him and keep him from hurting himself. My wife places a solid rubber toy in his mouth and we talk calmly but loudly so that he knows we are there with him. A typical seizure lasts anywhere from 2-4 minutes, his seizure characteristics are: 3 legs thrashing with the rear one not laid on tucked against the body, heavy panting as if sprinting for miles, heavy urine and discharge smell, pupils fully dilated, excessive drooling and contortion of the body (not every event). His post stage can last anywhere from 30 minutes to an hour and a half. Typical post stage consists of: drinking lots of water, smelling/checking everything out like it was new, and very tentative to us. I have had 2 dogs with seizures. Both did not had them when I didn’t give them heartworm medication. One was a sheltie, and my current is an apricot Tibetan Spaniel. Heartworm is known to cause seizures in collies. Argued with my vets forever, then just took matters into my own hands, and only give them heartworm meds when it is cold, not year round. When my sheltie was old I just stopped giving her heartworm pills-she never had another seizure. Applying an ice pack to the middle of the back will shorten the length of the seizure. Our dog’s seizures required so much medication to control that she was unable to function. She could not digest her food and had trouble going up and down stairs. She was in and out of the hospital with aspirated pneumonia from undigested food making its way into her lungs. Our vet was stumped. We figured out we needed to feed her while she was standing up to let gravity help the food go into her stomach. Finally, we located an alternative vet and, using TCM (traditional Chinese medicine) and acupuncture, we’ve able to reduce the amount of pharmaceuticals to less than half of what she was taking. Her balance and digestion returned to normal, seizures prevented. It’s been almost seven years and all is well. Moral to the story: Don’t give up. Use common sense. Seek alternative treatment. I have a Cocker who has had seizures for years. After many tests the vet finally put her on anti-seizure medication that she takes daily. She still has a seizure occasionally but we are getting good at predicting what’s wrong with her. When we see her beginning to show signs we immediately take her to a safe, warm place and grab some towels (to help with drooling and urination). I lay beside her and put my arms calmly around her and talk softly and let her know she’s going to be okay. Even though she has no control of her seizure it actually seems to make it milder if I hold her. I stay with her as long as she’s “out of it” and try to keep her with me until she can actually get around without getting hurt. After all this time she comes to me and lets me know when it’s time to “cuddle.” She’s 14 now and I don’t expect to have her around much longer. She’s a special puppy. My 3 year old dachshund has had seizures since his 1st birthday. I was completely terrified and had no idea what was going on at first. We went to the vet, but without spending a small loan, all we could determine was that it’s not his liver or a virus. When I asked if it could be his food my vet looked at me like I could be crazy…which makes me question if we should be going there anymore. He also said he didn’t want to start him on seizure medication because of the damage it does to the liver. I’m feeling a little hopeless, but luckily his seizures are sort of predictable; if he is suddenly startled it seems to “trigger” him. Then he starts to get wobbly and drooly and “smacks” a lot. It is really sad, and I just try to keep him calm and comfortable. My dog has seizures since early age. We think it was epilepsy. The vet said that if the seizure occurred no more than once a month he would not recommend medicine. She had seizures almost all her life about once a month. When that happened, we hugged her and massaged her skin gently and all her body to make her relax, talking to her and telling her everything was ok. After almost 5 minutes after every seizure, she was alert and happy like nothing happened. The seizures stopped when she was about 14 years old so the last 2 years of her life (she lived until 16 and a half) she was seizure free. She was a cocker spaniel. My dog has seizures from a disease called Lafora. But I can’t find a vet in the US who knows anything about it. I have to correspond with a group in the UK. Our Sammy, a 7 yo Schnauzer/Yorkie mix, has had seizures since we got him at age 3. He’s one of our 3 Schnauzer mixes we adopted. Maybe once every 3-4 months, with no warning, he just goes stiff with excessive panting and drooling. He’s even been known to flip over at the onset. We pick him up and hold him secure. AND, we feed him finger-fulls of ice cream. It seems to snap him out of it, instantly in the beginning. But now it takes a 5 to 20 minutes for him to get back to norm. The major problem is if we’re not home the seizure takes its course. His stiffening causes severe pain in the neck region that could last a week or so. Pain meds help a lot and we have them on hand all the time. He snaps back to it like its nothing, although he’s a little tired after it. We’ve had him tested for a ton of causes, nothing came up. We decided against regular meds like phenobarbital, etc., as it would sedate him too much. We learn from it, and love him all the same! Ps. His seizures CAN be physically brought on. We gave him one of those ‘talking’ bouncy balls. After 30 seconds of him playing with it frantically, he had a seizure! Needless to say, we took it away and watch what he plays with! should have read: lasted 2000mg! and now its down to 1000… and will continue to drop. My old dog had a seizor so we took her to the vet he said in order to prevent the seizor lasting to long to grab right between her two ears then pet your dog calmly. I have a 16 yo chi mix who is 95% deaf and blind. In the last couple of months I witnessed (two times) her being okay one moment and the next she falls over on her side with legs straight out. It lasts all about 5 seconds. After the fact, she shakes uncontrollably – so I cover her in blankets and hold her close to my chest. I deep breathe and remain calm and nothing soothes her more than this. Am I willing to put her thru tests to figure out the cause? No. For now I will just leave it alone and reassure her that I’m here with her. She’s had a great life with me and I’m afraid that this is the beginning of the end. But we’ll travel the road together! You might still want to talk to your vet about it, you don’t need to know why (no testing) – but you might want to do “damage control”. Our 15 yo chi mix started w/seizures & after each one, she got a valium to keep her calm & get over it. Vet suspected Cushings disease – seizures became more frequent over the next months – when she went into one & wouldn’t come back…….we had to let her go. Love your baby’s every breath! My grand puppy was 15 when he was hit with something called vesticular disease. It’s similar to a stroke and hits the brain like a stroke would. It WAS the beginning of the end. He lived in almost perfect health and with total happiness for almost another two years. He almost made it to 17 years old. 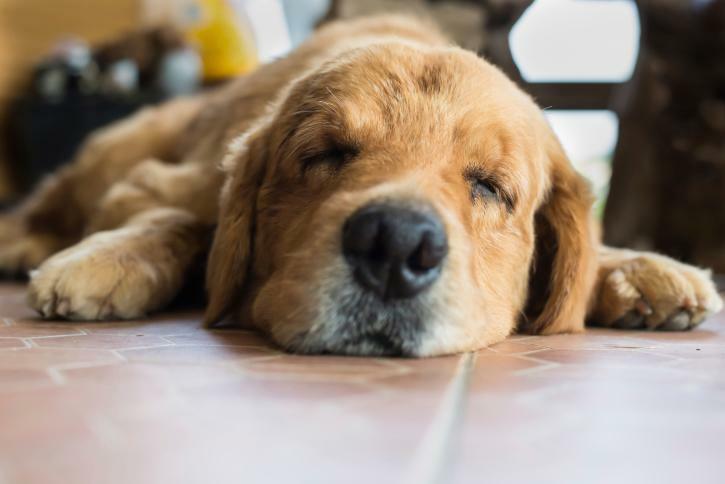 He was a golden retriever and was so very well loved by all of his human family as well as his extended human family. We hand fed him and I stayed with him during the days while my daughter and her husband were at work. He crossed over the Rainbow Bridge on February 4 of this year. He will always be very much missed and loved. My Boston Terrier was about 13 years old when he began having seizures. He was finally diagnosed with diabetes. Unfortunately, he had a seizure that left him completely blind and deaf. His quality of life was so impaired that we decided it was his time. meals since he had other health issues. Full blood work up, visit to the neurologist, etc. and other times he’ll have one or two a month. Acupuncture treatments. Management is key. Tracy – My pekingese had seizures and we have her on pheno and potassium bromide (low dose of each) and (knock on wood) she has been seizure-free for over a year. Keep track of the seasonality of the seizures. That was my clue to solving the puzzle. If he has more seizures in the winter, it may be a gluten allergy. Gluten destroys the cilia in the gut, and prevents absorbsion of vitamin “D”. My dog was MIS-DAGNOSED with seizures and it turned out to be DIABETES. ALWYS have your vet check for DIABETES in your dogs and cats. A simple “pee-strip” that you purchase from your local pharmacy can save your pet’s life. all you do is hold it under their urine stream and check to see it it changes color. SIMPLE- and it will save their life. if they are drinking a lot and urinating a lot and having vision problems- get them checked asap. thank you. my dog hurt her leg and vet prescribed dextomethosone, she started drinking water and over-eating and peeing all the time. I stopped the meds and she is doing better. Im going to ge these strips. My Cocked Spaniel was diagnosed with epilepsy when she was two years old. It continually worsened and the vet could find no cause. I finally decided to take matters into my own hands, did a lot of research, and took her off all commercial food. The seizures stopped almost immediately! Now she only has them after getting vaccinated (she only gets the absolutely necessary vaccines) and occasionally when taking her monthly heartworm preventative. It takes a little extra work, but is definitely worth it! Thank you Brenda!!!!! 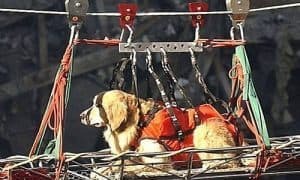 I’m so very glad to have found this post – I really was begining to think I was crazy – but now I know Danny is not the only one to have this “odd” alergy (for lack of a better term to call it) Thanks so much – here’s my little Danny’s story…..
We rescued a beagle mix a year ago last December, he was about 3 months old at that point. Shortly after we brought him home & changed the food he was eating (it was a very low quality puppy chow – we switched to a better grade puppy food) he had a seizure. Took him to the vet the next day, as it was evening when the seizure happened – blood work, etc and they found nothing wrong – the vet gave us Phenobarbatol (sp?). After doing research on this drug I decide I wasn’t ready to commit him to a life of drugs and all the potential issues that would cause – so we didn’t start the meds. It seemed after every three or four meals he would have another seizure – I was at a complete loss as to what was wrong. I dove into research on the internet about what to try – I decide to try feeding him only human grade food that I cook – since the seizures all seemed to happen right after a meal. I didn’t really want to go the “raw” food route. I did this “homecooking” for 3 or 4 months – no seizures. I then tried a really good dog food, made in the US from only ingredients for the US. He was OK eating his way thru the first 6 lb bag, shortly after I opened the second bag, the seizures started again. I freaked, which I’m sure you can imagine, I once again began cooking for him (everything he gets I make, food, treats everything) and he is wonderful. His coat is shiney, his teeth are beautiful & white, his breath is good – and for the first time ever I have a dog that is at his perfect weight (per the vet). My vet will not admit that it is food related – but what else could it be – the only thing that has changed is his diet. I did contact the shelter he came from to ask if any of his siblings (there were 5 in his litter) were also having issues – and no, he is the only one. I guess I’ll continue being the “galloping doggie gourmet” – LOL! PS – so far he has been OK with his shots, flea & tick treatment & the heartworm pills. His issue seems to be totally “dog food” related. Hope your little fur-baby is still doing good! 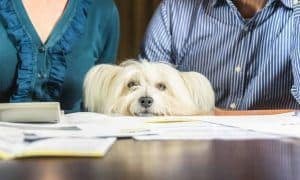 How was the epilepsy diagnosed in your dog? I have a 14 year old Rat Terrier who used to have seizures quite often. That lasted for quite a number of years with no vets being able to give us a reason other than, Ratties are prone to them (the vets’ words). A couple of years ago, I decided to change dog foods to one without grains in it. Almost immediately, he quit having seizures and hasn’t had one now in almost 2 years. When I tell the vet, he seems to not really believe it is food related but doesn’t really want to say it isn’t. I believe he must be allergic to one or more of the grains in the cheaper dog foods. I have used several different brands of grain-free foods and, so far, he has not had a problem with any of them. It is a relief to read that someone else has a similar situation. We had a golden retriever with epilepsy. She was on all kinds of medication ($200.00 per month) but continued to have seizures. I finally figured out that she had a gluten allergy. We put her on a gluten free diet (home cooked) and her seizures stopped. We were able to take her off all of the medication and she lived happily seizure free for about three more years. We now have a 10 month and a 2 year old goldens, we home cook for both of them, and they are both happy and healthy. Dog food is poison, all of it is nothing but stuff that is a bi product of human food production. In other words, waste. 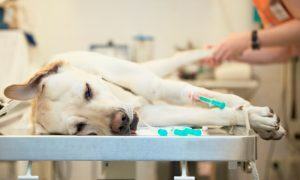 Dogs with a compromised immune system should not be vaccinated! Titer test them. I was forced to EU my dog due to these matters. Good for you Brenda! I took my dog off all commercial food after Beneful was recalled, and give her fresh pet with no preservatives now. It has helped with many of her issues. Simple things that the vets don’t tell us.